Stunning 4 bed, 4.5 bath custom home in Ridge Creek Estates. This home has everything! The main floor features a Master Suite with walk-in closets & master bath with jetted tub, separate walk-in shower & separate vanities. The additional 2 bedrooms share a Jack & Jill bath. The sunken living room & dining room lead to the spacious kitchen with granite countertops, island with marble top, trash compactor, Viking wall oven, 5-Star gas range & so much more. The hearth room features a gas 2-sided fireplace that is shared with the living room. A massive 3-season covered deck can be accessed from both the living room & master bedroom. The finished basement is an entertainer's dream with a family room, wet bar, sunroom, 4th bedroom/2nd master w/full bath, exercise room, full bath with steamshower, wet bar & huge theater room. 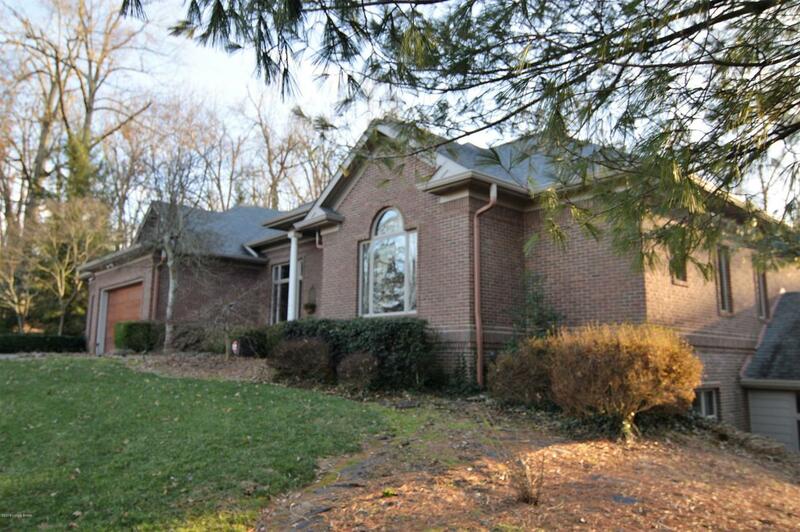 All of this & so much more is nestled on 2.8 acres in one of Elizabethtown's most desirable neighborhoods. Schedule your showing today!